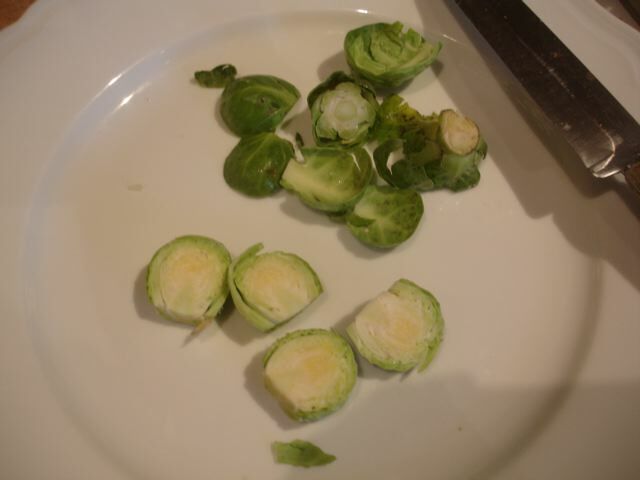 I’ve always liked Brussel sprouts–they were on the winter menu in the fifties. Clearly Ma knew not to overcook them and I have a memory of mushing them with the gravy from the Sunday roast. She added chestnuts to them at Christmas–even better! Preparing them for the pan was often my job on a Sunday morning. 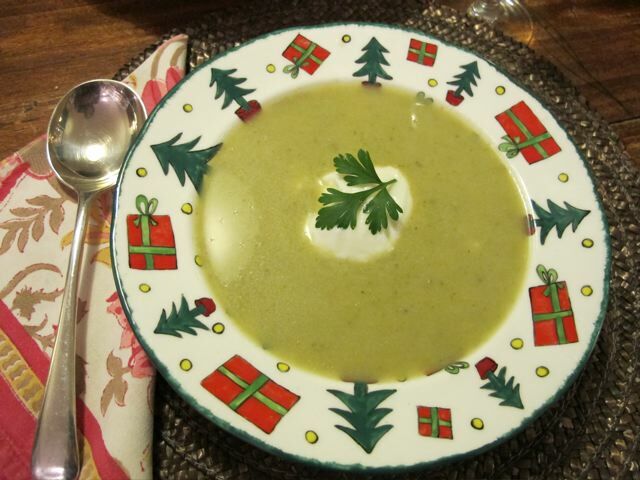 This delicious and surprising soup is quick to prepare and has a pleasing light green colour. 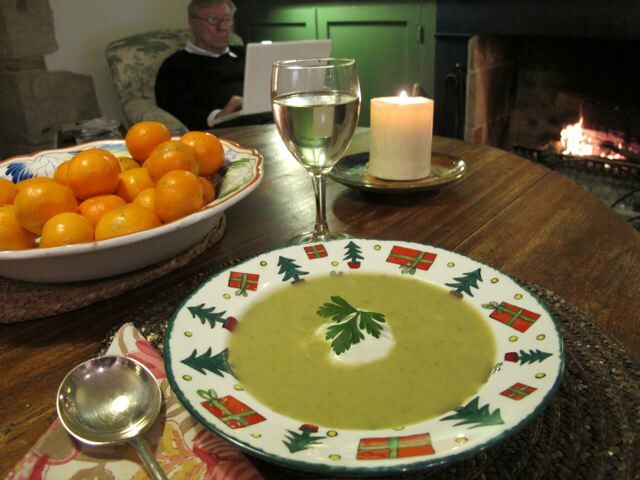 It’s not a thick soup but nourishing on a winter night. In a saucepan gently sweat the onions and sprouts in the oil and butter for about 10 minutes. 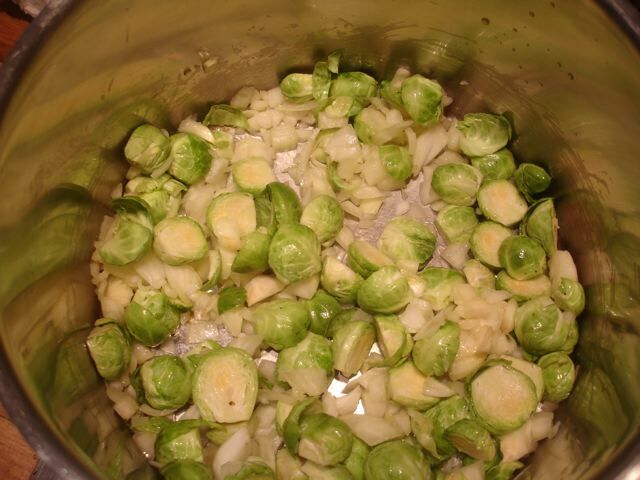 Simmer gently for 20 minutes–the sprouts need to soften. Liquidize (a handheld food mixer comes in handy here) and check the seasoning. Season lightly with salt (remembering the stock cube may have salt in it), plenty of pepper and the nutmeg. Serve hot with a teaspoon of low fat yogurt (or cream if you dare!). Dear Robin, The best are the little ones when they are yellow (the only ones I like, lol) here it’s very good when one can buy them at a farmer and they are still on the stalk better quality then loose. Enjoy! It’s cold here for the moment but sunny, many regards Chantal (from Belgium). I love your christmas soup plate. But I’m surprised that you’ve found Brussel sprouts near you. I never remember being able to buy them. By the way how’s the new cat? has he got a name yet? Never a problem finding Choux de Bruxelles! No name yet–I call him “the Little One”–meanwhile. Hard to find the right one though I guess if we just went for something he grow into it. This soup sounds an interesting take on sprouts. I guess the reason many are not keen on them is because they used to be boiled to death. I too love the bowl – hope you have two of them! I was wondering how your whiskery waif is doing (you could call it Wafer!). Have the others resigned themselves to an addition yet?